Pergolas, conservatory shading - NOBLEZA - SERVIS CLIMAX, a.s. 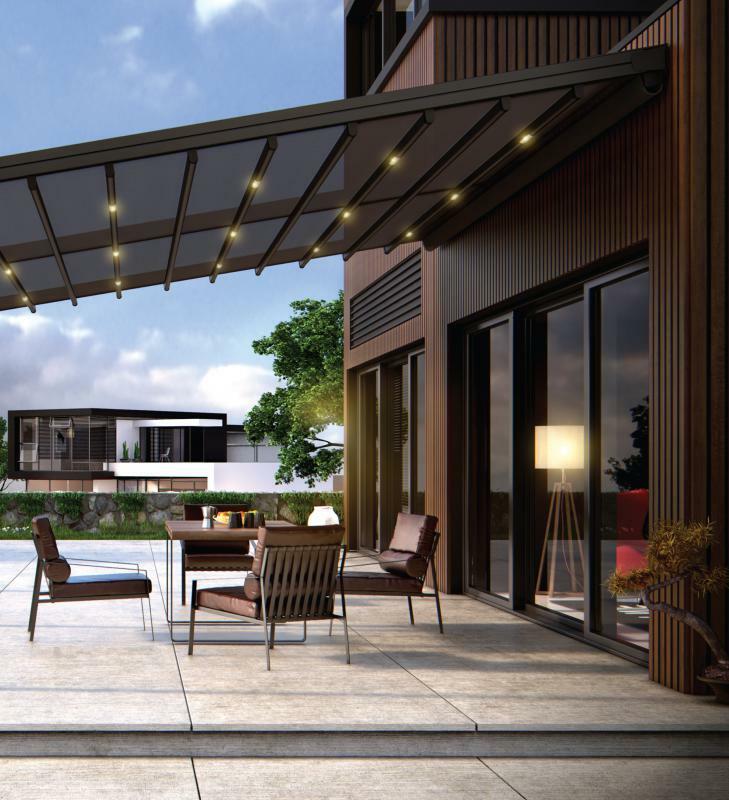 The NOBLEZA pergola allows you to enjoy the comfort of your patio in all weather conditions. It belongs to pergolas called "anti-rain", which means that it provides protection not only against the sun, but also against the rain. 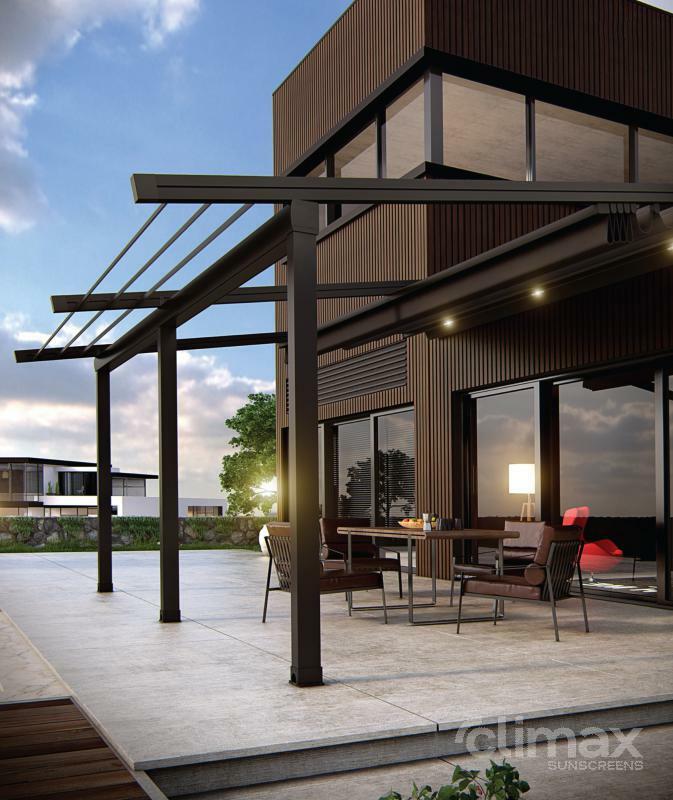 The NOBLEZA pergola is made of extruded aluminum profiles which are equipped with high-quality powder coating ensuring long life and durability. All screws and pins are of high quality stainless steel. 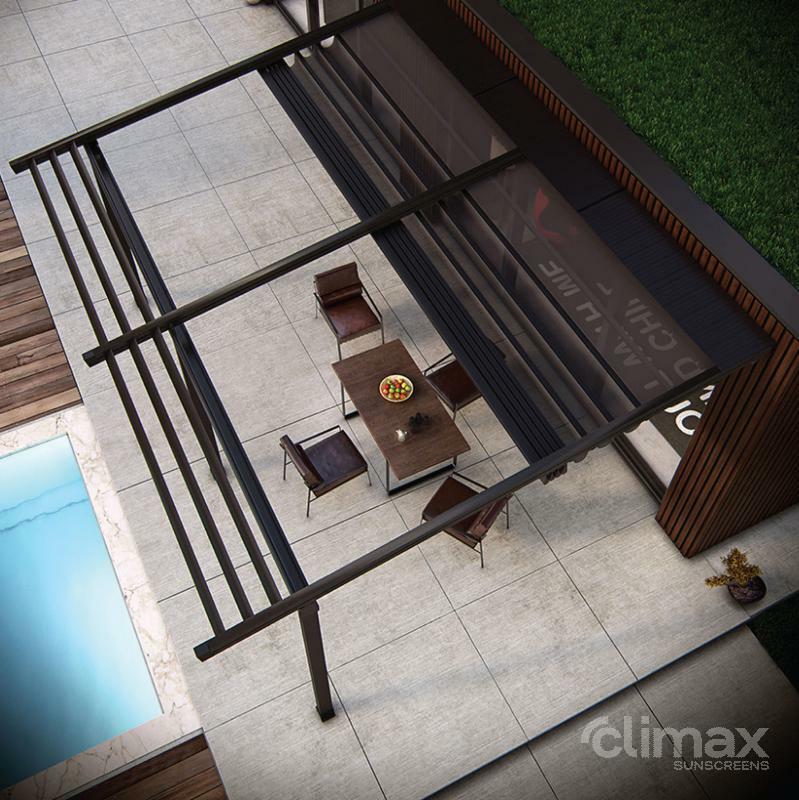 This type of pergola can be anchored to the wall / ceiling and to the floor. 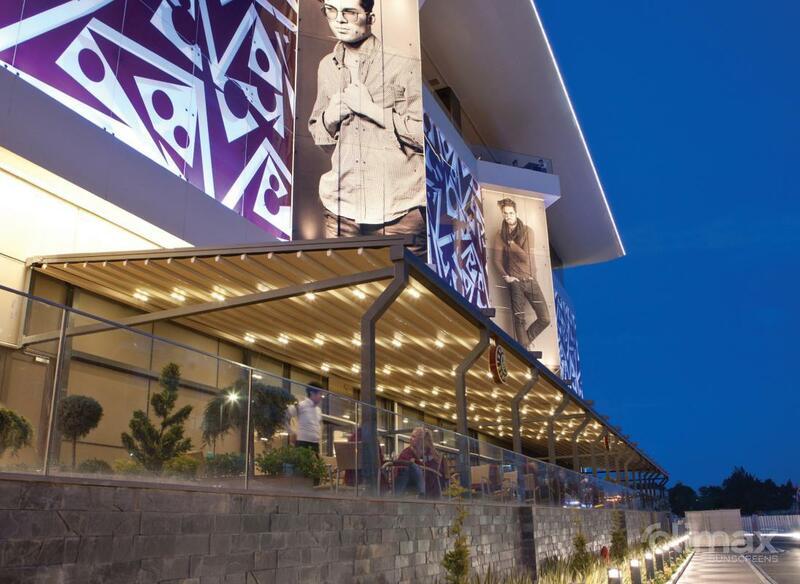 The pergola is custom-made and available in any size up to 13 meters wide with a maximum projection of 7 meters. It is operated by the Somfy motor. 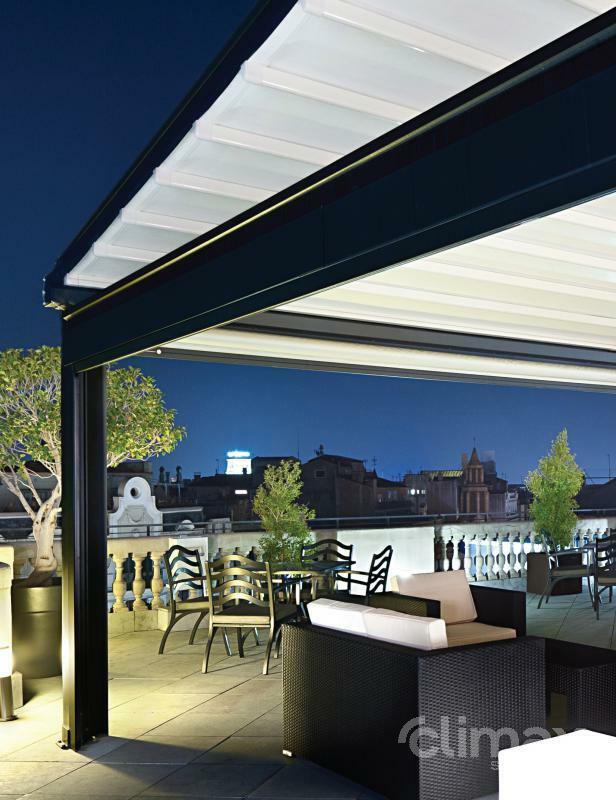 The roof of the pergolas with a 7 degree inclination ensures that all water flows out of the pergola cover. 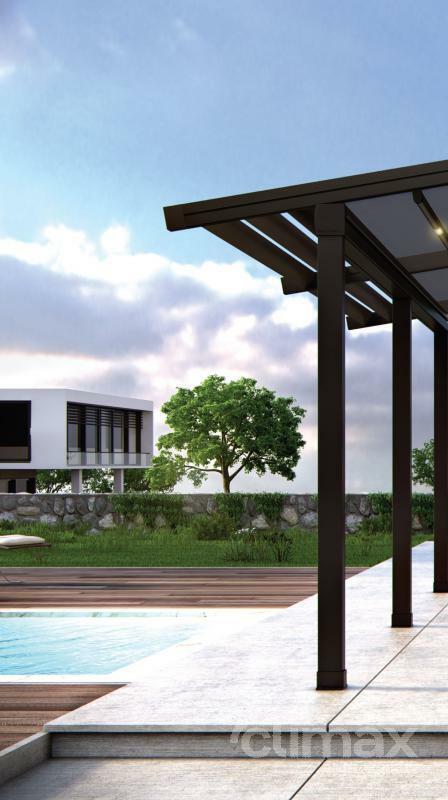 The pergola can also be provided with a front drainage profile. High quality non-flammable covers of German production are characterized by 100% water resistance. They are available in several colors. 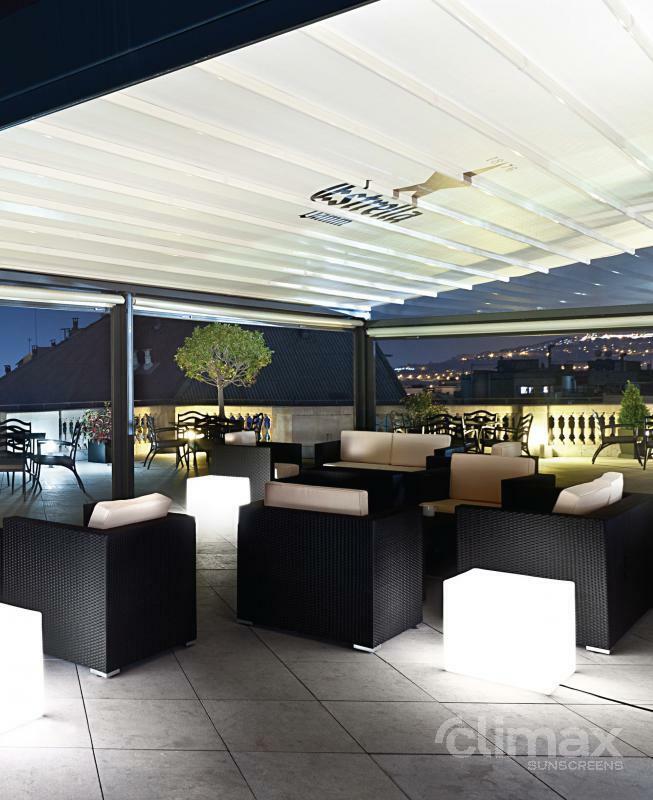 The pergola can also be complemented by integrated LED-TEC lighting with remote dimming control which allows you to change the intensity of lighting according to your mood.